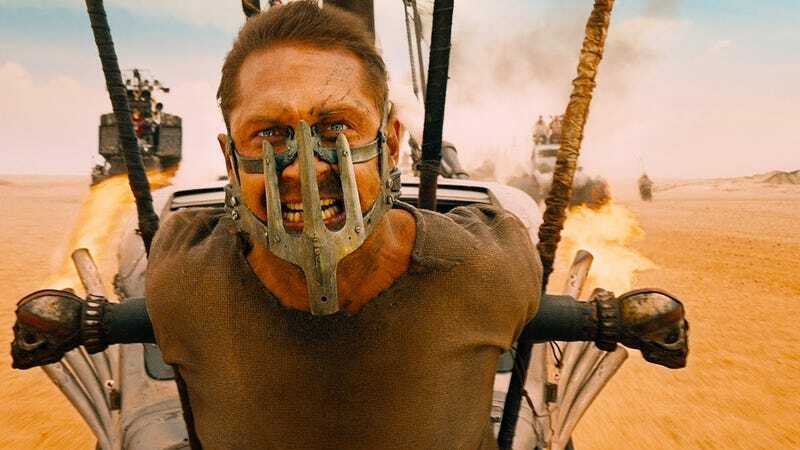 There was a brief moment during the Oscars where it looked like Mad Max: Fury Road might be on the way to getting the recognition it deserved as a truly groundbreaking, visually stunning film. Spoiler alert: It didn’t. All of these people did a truly amazing job making a goddamn miracle of a film. I am so glad they were recognized. And I’m also thrilled that no other movie won more awards than this one. But here’s the thing: With Mad Max being acknowledged as the year’s best in so many categories, why didn’t George Miller and the film as a whole deserve to win? Reasonable minds can differ about the relative quality of the Best Picture nominees. There were a lot of great movies in the past year. But Mad Max: Fury Road was a masterpiece. It is a credit to the entire medium on every. Single. Level. The Oscars should have rewarded it, and George Miller, for doing absolutely everything right. Not most things. Everything. Fury Road is a gorgeous movie—with a bunch of important underlying messages about autonomy, sexism, climate change, greed... Fury Road has everything, executed with a grace that is frankly astonishing. This movie makes impossible things look damn easy. Even its own backstory—the years Miller and co. spent laboring to get it done, in the face of mind-blowing setbacks—exhibit the best kind of filmmaking passion. There is not a single thing that the other nominees did, that Mad Max didn’t also do. Usually better. Being angry at the Oscars is a pointless endeavor, since it’s an essentially pointless show. At the end of the day, Miller, and everyone who worked on the film, got to actually make their dream project. And people saw it, and loved it. But, goddamn, would it have been great for the people who make films to step up and acknowledge its brilliance. To encourage more filmmakers to reach as far as they did, and to achieve what might seem impossible.